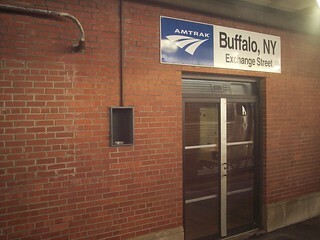 The Buffalo Exchange Street station is a small station in downtown Buffalo. 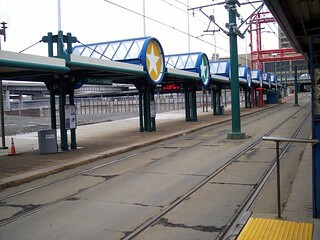 The track side of the station building and old platform canopy. 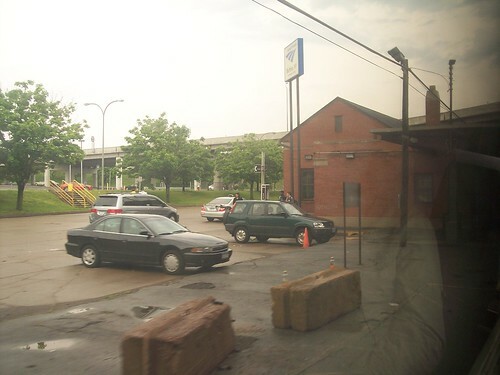 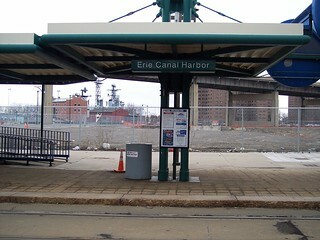 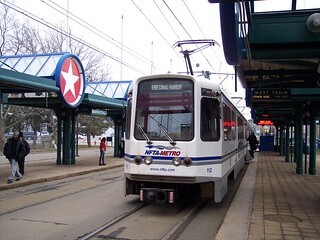 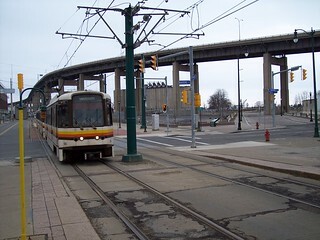 The NFTA Erie Canal Harbor station sits nearby. 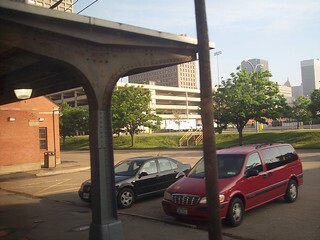 Our train from University, and our train back to University. 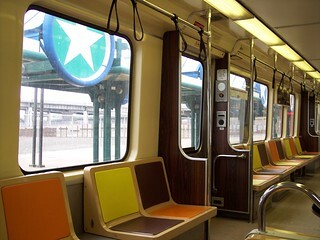 The interior of our train back to University.